A brilliant opportunity for a Performance Analysis MSc Work Placement has arisen within the Recruitment Department, in conjunction with study at the University of Worcester undertaking the MSc Sport (Applied Performance Analysis) course. The position requires a minimum 25 hours per week commitment working within the club’s Recruitment Department, commencing July 2019. The successful candidate will receive a bursary to cover full tuition fees for the MSc course. The MSc Sport (Applied Performance Analysis) course at the University of Worcester has been developed with leading performance analysts and aims to facilitate the development of knowledge, understanding and professional skills through the recognition of learning in, for and through the workplace. The course is delivered through two intensive weeks (week commencing 9th September 2019 and 13th January 2020) with online Tuesday and Thursday evening lectures delivering the remaining content. This mode of delivery has been praised by former students and employers, due to the flexible learning approach whereby content can be accessed, studied and assessed from anywhere in the World meaning you are not tied to one location, reflecting the demands of the modern day performance analyst. *Please note this role is to be combined with studying at the University of Worcester on the MSc Sport (Applied Performance Analysis). The successful applicant must be eligible to undertake the course with the University of Worcester – more details can be found on the website: https://www.worc.ac.uk/courses/sport-msc. Attend all professional development events. Actively engage in a fully functioning competency framework and integrated appraisal process. Ensure compliance with all the Policies and Procedures contained within the Staff Handbook, paying particular regard to the Equal Opportunities Policy and Health & Safety Policy and procedures at all times. Evaluate team/player data to detect trends in performance, using platforms provided by the club. Manage the creation and development of an individual player/team clip library. Provide video feedback and highlights presentations on potential players. Develop and implement new strategies in liaison with the Head of Scouting and Recuitment Analyst to enhance monitoring and tracking of potential player targets. Review and evaluate upcoming fixtures. Assist the Head of Scouting to meet the objectives of the Player Recruitment Process. A minimum 2:1 degree in relevant subject. A sound tactical understanding of the game of football. 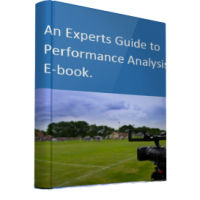 Familiarity with performance analysis software (Sportscode, Hudl etc). IT literate, specifically with the use of Apple Macbooks and Microsoft Excel. A strong work ethic and willingness to learn. A passion for developing a future career in Performance Analysis. The ability to communicate and work closely with the Player, Coaching, Medical and Sports Science departments is essential. A trustworthy and reliable personality. The ability to work to strict deadlines in high pressure environments. 1. Enroll independently on the MSc Sport (Applied Performance Analysis) course at the University of Worcester. The successful applicant will be expected to be independently accepted on the MSc Sport (Applied Performance Analysis) course for the 2019/2020 Academic year, following the standard process for enrolment on this course. 2. Apply for the Birmingham City Academy Performance Analyst studentship placement. To apply, please send your CV (maximum of 2 pages) and a covering letter detailing why you are suitable for the post to John Francis (j.francis@worc.ac.uk) by 1 pm on Friday 26th April 2019 using the job title as the subject of your email. Successful candidates shall then be invited to stage 2 of the process. Applicants must be able to evidence that they are eligible to live and work in the UK. Birmingham City FC is an equal opportunities and Disability Confident employer and welcomes applicants from all sectors of the community. The successful candidate will be required to complete a full training and induction programme, a confidentiality agreement and a DBS check organised by the football club.